For the past week, Bitcoin had continued to weaken and made a new 2018 low. 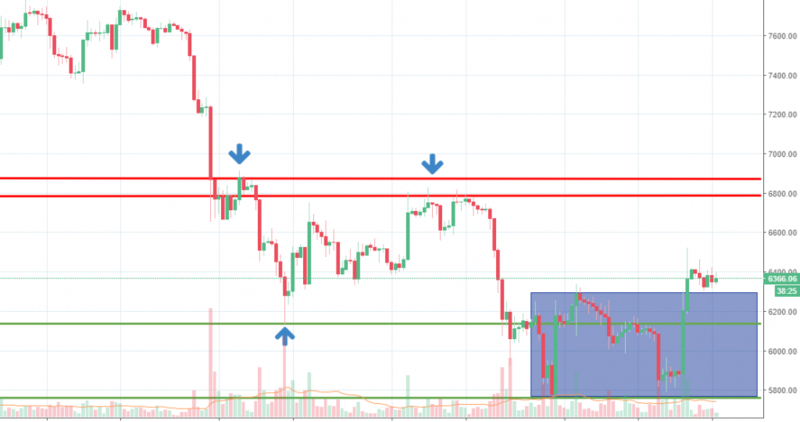 The price had dipped towards 5,800 and since then it managed to stabilize and trade in a range that we have highlighted in the chart above. It seems like the buyers had been accumulating at those low levels since the price action had breached the range on the upside. Looking ahead, we expect the price of Bitcoin to continue to gain some ground in the short-term. We expect resistance to emerge around 6,800-6,900 area since the sellers had been reacting to it in the recent past. On the other hand, if the price action will break back into the range, short-term support is expected around 6,150 and 5,800 area. 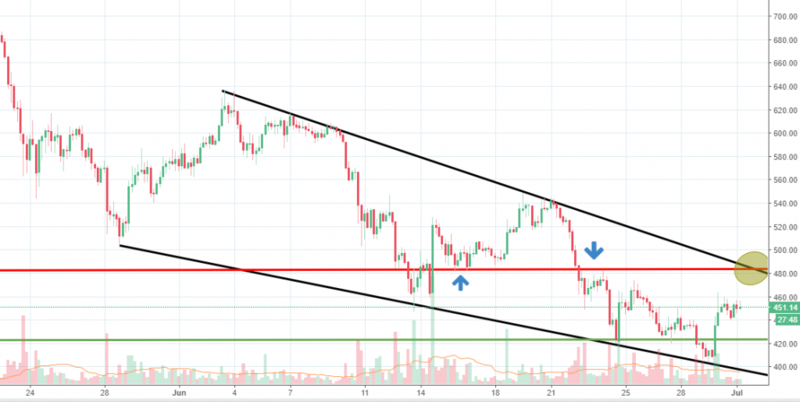 The price of Bitcoin had been heavily under pressure for several weeks in a row and that is why we suspect some short-term relief could be seen in the following days. For the past two days, Ethereum had been up around 10% driven by short-term bullish momentum. As you can see from our chart, we have spotted a downside pennant with several points confirming each line. If the price will continue to head higher, we suspect strong sellers will resume around the upper line, which is also backed by the 485 resistance level. The market had been reacting to it a few times and since we have a confluence of indicators there, a new bearish leg could start to unfold. On the downside, support is expected around the 425 level and around the weekly low. The price is still inside the structure, so sellers are still in control. 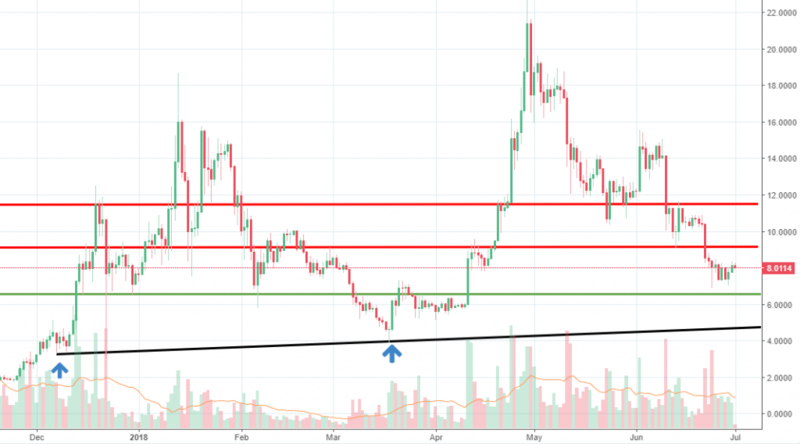 However, we suspect an upside breakout will occur in the next few weeks and Ethereum will manage to gain more ground in the second half of the year. We expect to see if that will materialize. Widely considering as being one of the most promising cryptocurrencies in 2018, EOS had a poor performance in the last two months. 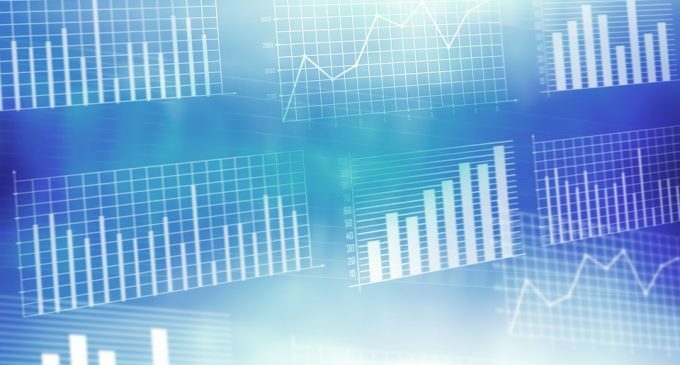 Since the end of April the EOS price had dropped by 63% from the highs, as the ICO had ended and with the project implementation problems appeared. Combined with the overall negative sentiment from the market that led to a sharp drop in price which we expect to continue to extend. If that will be the case, some support is expected around 6.50 level. We have also drawn an ascending trend line confirmed by two points. We expect stronger support around it. On the upside, if the buyers will push the price further from the current level, sellers are expected to rejoin the trend around 9.15 and 11.50. The ICO market continues to expand in 2018 and various projects aim to raise capital with this new funding operation. Among them, FTEC is an ecosystem of intelligent services and neural networks for conducting effective trading activities on the cryptocurrency market. The ICO will end on July 18th. In terms of ICOs that will start in the near term, Proof of Toss is a decentralized betting protocol on the blockchain, on a path to disrupt the 60$ billion betting industry.